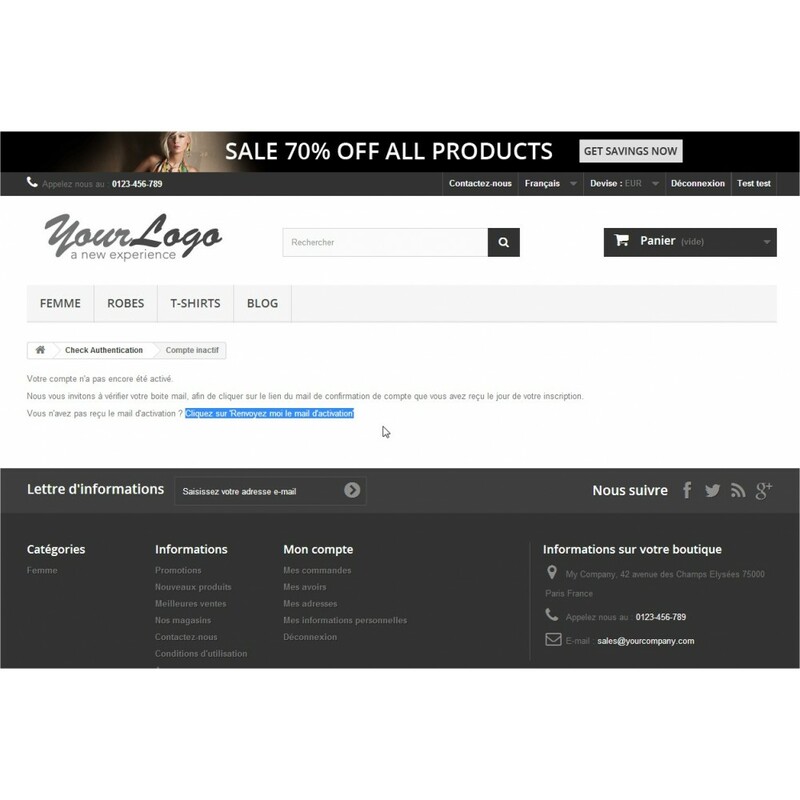 This module enables you to make sure of the authenticity of an address e-mail. During a creation of account, this last is activated only after one click on the bond of activation of account e-mailed to the new customer. If the customer tries to connect himself without having to confirm his account beforehand, a message will inform it that it must activate his account, and will propose a bond to return the e-mail of activation. 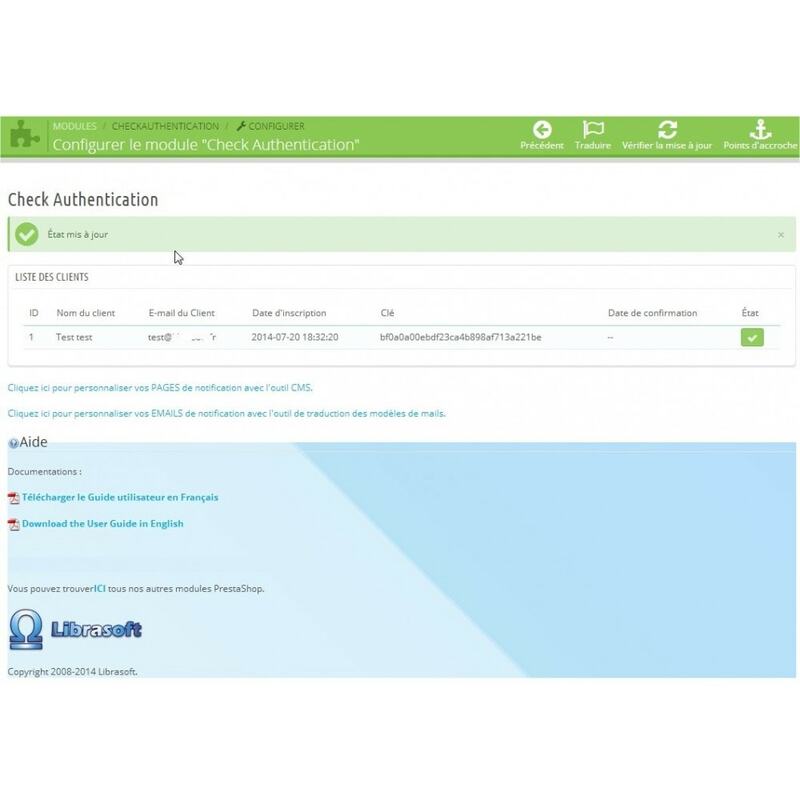 To the click on the bond of confirmation, the customer automatically is connected and redirected on the shop with an activated account. The administrator has the possibility of activating or of unactivating manually the accounts of the customers. 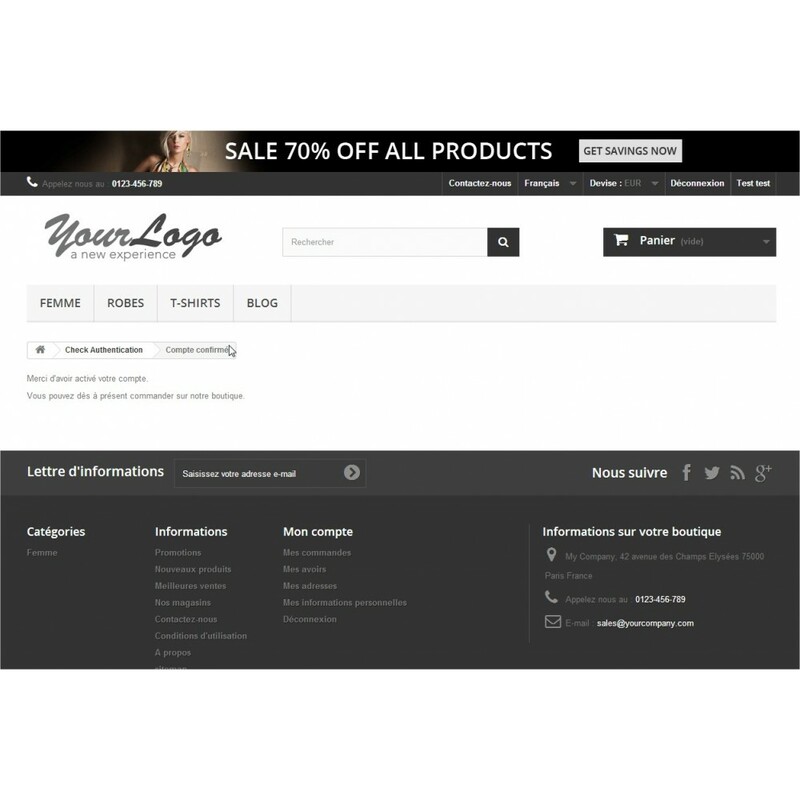 The module being integrated perfectly into Prestashop, this one is entirely personnalisable. 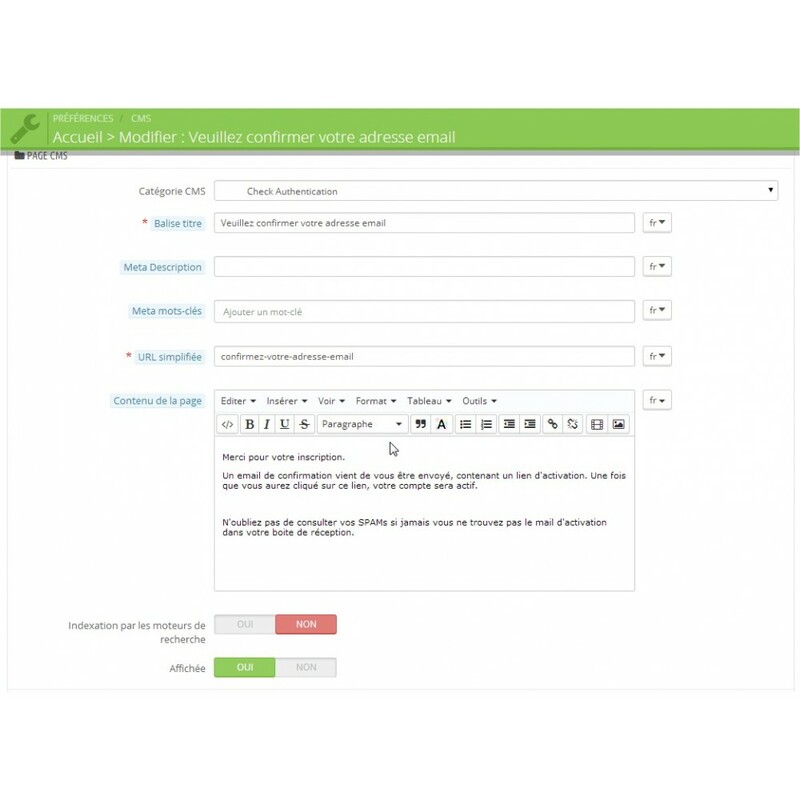 You can personalize the e-mail of confirmation of account sent to the user via the tool for translation of the models of e-mails of Prestashop, and you can personalize the pages of notifications of the module via tool CMS of Prestashop. Sending of a link of activation in the e-mail of account creation confirmation. Allows to activate or unactivate manually the accounts of the customer. 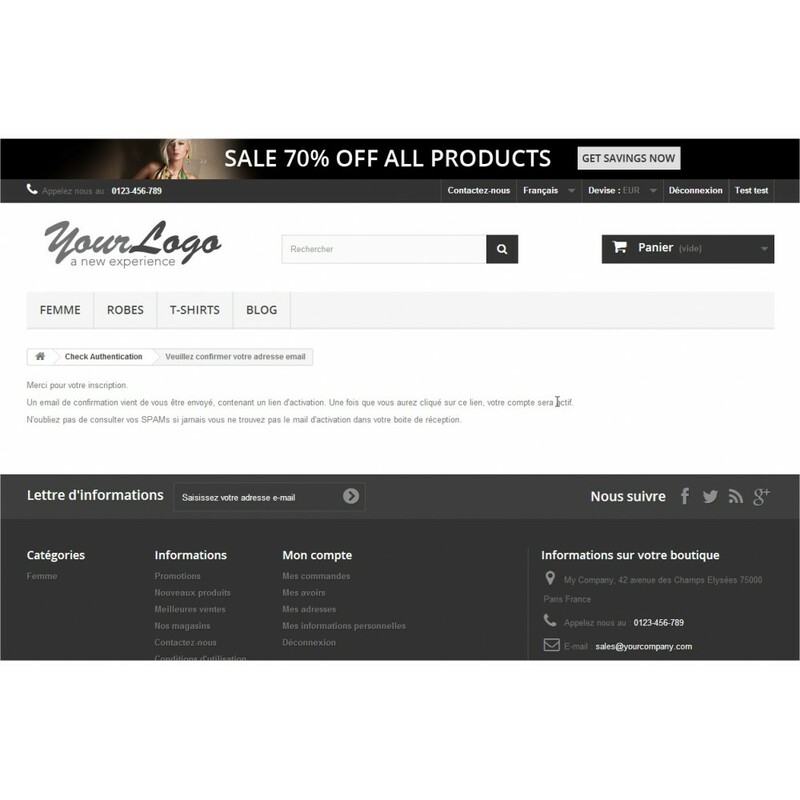 Fully personalisable CMS Redirect Pages, Emails, Translation. 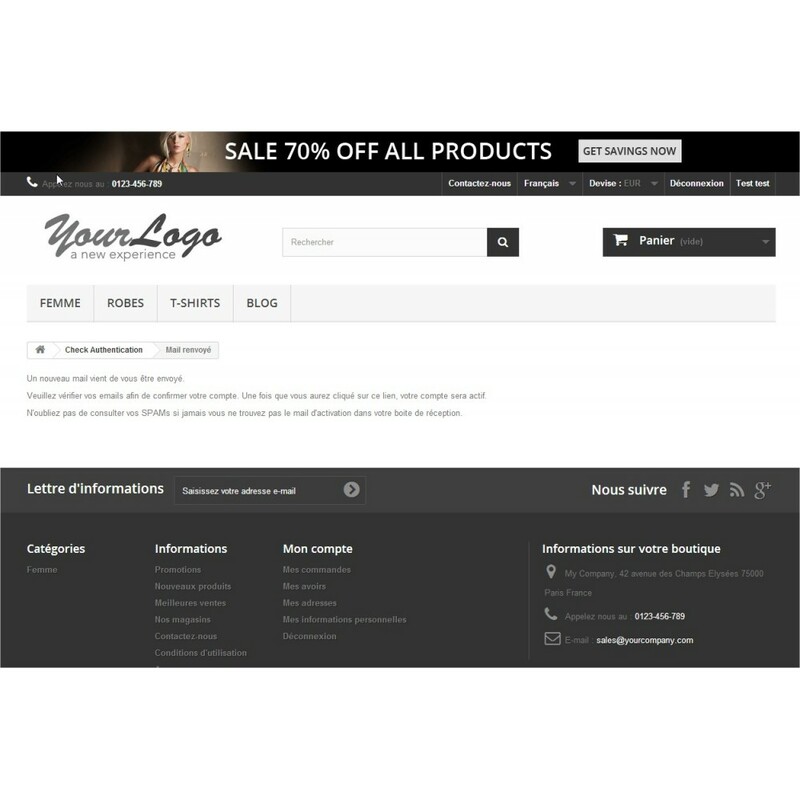 Fully compatible with multilanguage shop and multishop. Unzip the file and copy the folder / checkauthentication in /modules. 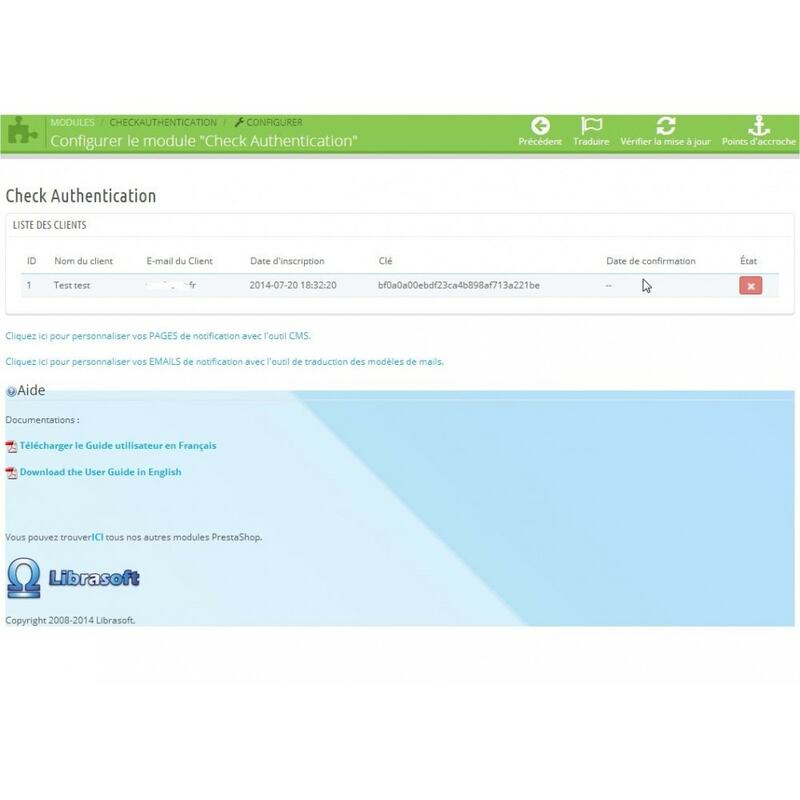 Look for the module checkauthentication (in Front Office Features), and click on install.